Create your own courses, or access and assign carefully structured Math, Reading and Science courses for at home or classroom self-paced learning. Online courses are available with an annual Blend subscription. In the Lessons tab, click on the Course icon. Use the right and left arrows to browse through available courses. Click on a course tile to preview content. All course topics are listed in the left column. Click on the arrows to expand topic and view all available activities. Click on an activity to view options including preview, assign, rename, print and delete. To assign a due date to an activity or collection of activities, click and drag the items to the calendar. By default the due date is set to the selected day. The Assignment setting allows students to receive Right/Wrong feedback and View Answer Slides. The Test setting allows students to change answers but does not show right/wrong feedback or answer slides. Select a class or individual student. Adjust additional settings in the Advance Settings tab. Access Anytime (No Due Dates): If you wish to make all activities in the selected course available to your students right away and do not wish to add due dates, drag and drop the complete collection into the Access Anytime Area located below the calendar. This is a quick way to let students access materials with minimal set up. Verbally direct students to materials or let them choose. Additionally you can add your own content to existing lessons and/or create custom courses using PowerPoint presentations, pdfs, Word docs, Youtube videos and other web documents. Name your Course, choose a color for the background tile and click Save. Within a topic, click Add New Content to upload pdfs, Word docs, Youtube videos and Web links. 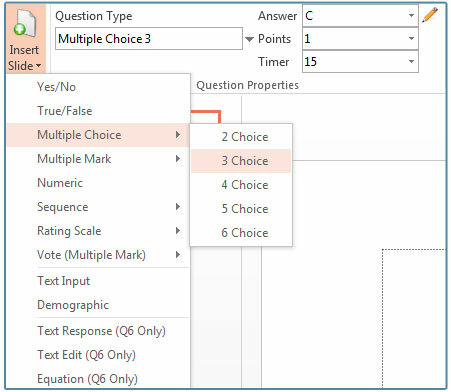 Quizzes and assessments are added by uploading tagged PowerPoint presentations using Qwizdom Actionpoint. 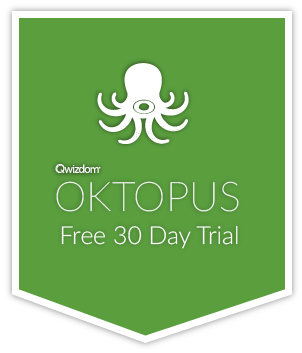 Open a saved .ppt or .pptx presentation and click on the Qwizdom Actionpoint tab. Select an existing slide, or click on Insert Slide to add a question to your existing presentation. Choose the desired question and select the correct answer. Select Upload. You may be prompted to add your credentials.